I happen to love September because of one thing - sweet corn. Today many of us struggle with corn. We don't know how to fit it into our diet, many denounce it as a product of industrial agriculture and monoculture, we read labels and reject anything with a corn product on it and we steer clear of corn syrup. It sometimes seems as if the only safe corn product that I don't get raise eyebrows with at my local Whole Foods are locally made corn tortillas. I guess they're OK.
A few of us still celebrate sweet corn and dried corn however, especially as a garden crop. Even small -yard gardeners with limited space can grow some varieties - especially new ones specially bred for containers (although I do feel that these are best considered as a novelty crop and not something worthy of feeding a family with). The fact is a full raised bed 4 x 8 feet or a 10 x 20-foot plot can provide a decent crop if you have the room. My tiny plot of corn still gives us corn in the tiny gap season when our local farms seem to run out. I'm a pretty easygoing dude but a few things get under my skin. One of those things is sweet corn varieties available at farm stands and farmer's markets. Mainly the names of the varieties. 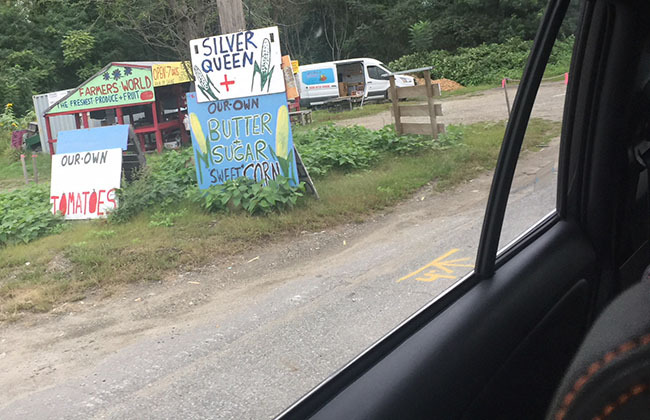 This very well may be my personal gripe but when I see "Butter and sugar" spray painted on a sign I go crazy. (I know, I'm crazy too but really?). Lumping all sweet corn into two buckets (bushels?) helps no one. I snapped this yesterday as I was driving home near my house. This isnt a farm but rather a 'pop-up' farm stand every summer in an abandoned lot. I assume everthing here comes from the Boston vegetable market but it is rather typical of what one seees everywhere. Corn is affected more by cultural trends than most any other vegetable. My father considered himself a corn aficionado (I mean - you have no idea, he was literally crazy about sweet corn). My dad came from an entirely different era—born in 1914. I am certain that corn on the cob was often a complete meal for him and his 7 brothers in this house. I know this because we were one of those families that often had a few dozen ears of sweetcorn on the table for meals in the summer not to save money, but because it was good. ARE YOU A 'BUTTER & SUGAR' or a 'SILVER QUEEN' FAN? I am neither, although there is hardly a corn variety that I don't like, for fresh eating, I prefer a new hybrid by far (and not a super-sweet sugar-enhanced one from the 1980's either). Like most corn geeks I like a balance between corn flavor, starch, and some sugar, but mostly I like the popping texture that comes with some of the newest hybrids when you eat them straight off of the cob. There is nothing like it. If you've ever enjoyed very fresh corn cooked straight from the field, you know what I am talking about. The breakthrough of SE or Sugar Extender (sugar enhanced) corn was a big breakthrough in the late 20th century, and while those varieties are far better than old sweet corn varieties, they were bred for long-life on the supermarket shelf, and many of us just think that they are too sweet when compared against new Augmented Shrunken SH2 genetics or even Synergistic varieties. Whah? Are you going all 'GMO' on me Matt? No worries. I shall explain in far more detail than any human needs in this post. Which is probably why my publisher cut this chapter on corn from my upcoming book MASTERING THE ART OF VEGETABLE GARDENING (shameless plug - avail on Amazon now, but not shipped until it is published in December). This chapter should give you an idea on how I approach veg gardening in the book, but know that I've edited this down quite a bit. I am hardly a normal consumer of corn (I am also hardly an expert, but rather a fan). My history with sweet corn dates back to the 1960's as I was tutored by a father (a serious corn addict) who demanded excellence when it came to fresh on-the-cob corn varieties. We would hop with him into our 1969 Country Squire station wagon and drive to certain local farms (somewhere he used to work as a kid) as their fields became ready to pick. He somehow knew what varieties Mr. Allaire or Mr. Salo was planting that year, and he knew the maturity dates. He also would demand that we be allowed out into the field to pick the corn so that it would be of optimum freshness. 'Illusion' F1 is a sweet Synergistic corn, available both as organic seed and conventional. 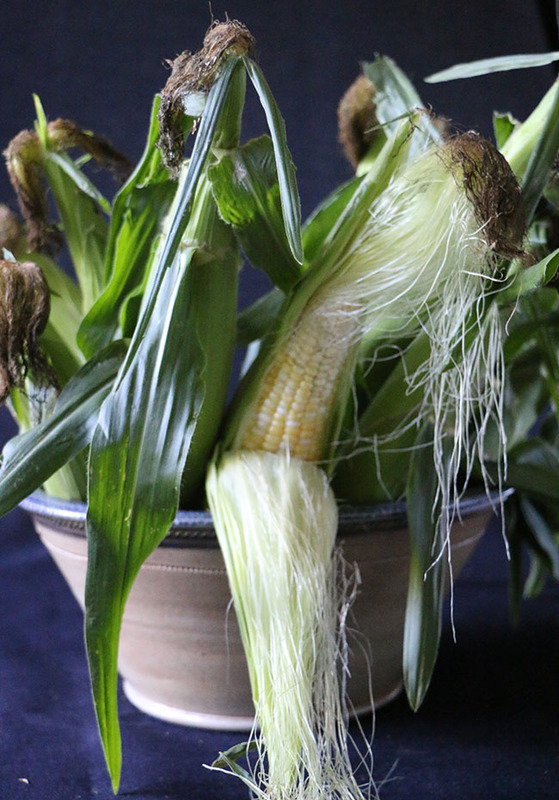 It's our most favortie mid-season corn for the home garden. 'Sugar and Butter'? It's probably sold as that. We were one of those households where sweet corn was considered a complete meal. Dozens would be cooked and that would be supper on any given weeknight in the summer. We would only be allowed to cut corn off of the cobs if it was too old, or if we needed to take it somewhere like on a picnic or to school for lunch. Dad always believed that white corn was less desirable than yellow corn (which isn't true, really) but his parents who were born in 1889 only ate white corn. Dad was born in 1914, a time when corn hybridizing was changing things. While his parents only ate white corn (leaving the yellow 'cow corn' for farmers to eat green), dad and his 7 brothers preferred all-yellow corn. The corn of their generation, thanks to a new variety in the 1920's called 'Golden Bantam’. Corn seems to come in styles and follows fashion. Bi-colored corn eventually became more popular than all-yellow corn in the mid-20th century but it was never my fathers favorite. I on the other hand while young wanted white corn, simply because it seemed rare and odd. No one had yet heard of 'Silver King'. ´ Either that or old-timers confused the new Silver King with an old variety with the same name - a silver dent dry corn that was introduced under the same name in the late 1930's. 'Siver King' was just a SE or sugar enhanced strain of 'Silver Queen' (an older SU standard corn). My point is - these are still old late 20th century varieties and we might want to move on from them. With over 125 varieties commonly grown, you probably have moved on but you just don't know it yet. When I was a kid in the late 1960s a ‘new’ variety was introduced called ‘Silver King,’ and I can remember thinking that it was cool because it was all white, and it was sweeter than 'Silver Queen'. The problem was I coudl never get my dad to buy it. Then came Bi-colored corn. "Too fancy and novel," dad said. It wasnt until bi-color corn started to be marketed under the variety namesthat was more appealing did he try it. Names then began to be more user firendly and appealing. Thus, ‘sugar & butter’. Unfortunately, the original Sugar and Butter' is rarely grown today but most if not all bi-colored corn is simply sold under this name. 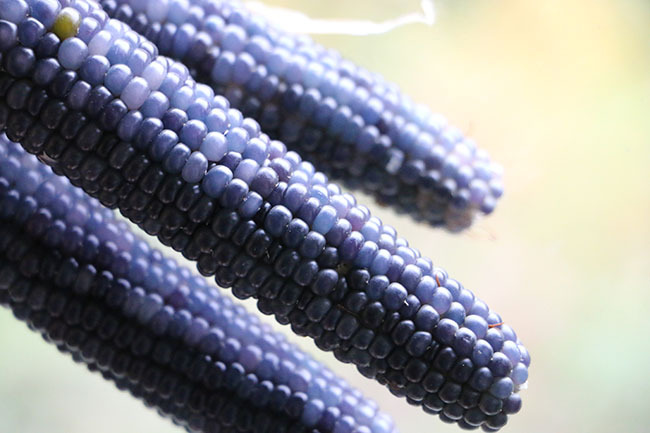 Blue corn varieties are generally heirloom types and are best for ornamental use. Still, how pretty is this Indigo variety? WHY CARE ABOUT THE VARIETY NAME WITH CORN? Wouldnt you want corn that had everything? Flavor? The perfect balance of starch, sugar, and pop? Then knowing the variety name is key. Farm stands and market growers knwo that sweet corn is a cash crop. Even more so today. The race starts in early spring when growers try to get their corn planted earlier than their competitors. This year I noticed Remay floating fabric over an entire field near the farm where I grow veggies. The owner told me that they now plant corn as plugs very early in the spring - weeks before anyone else. Then they cover the fields with floating row covers to protect the seedlings from frost. This gives them a jump on all of the local competition. A tip for us at home - corn plugs transplant easily and even though I've been starting my corn in cell containers for years, it does feel good to know that even the pros are doing it too. A 10 foot by 10 foot plot can hold 100 plants, and a couple of plug trays ensures 100% germination. I just pop the young plants into prepared ground with little effort even as early as mid april. May 5th is the typical sowing date for sweet corn here in Zone 5 New England. Varieties do matter for both commercial farmers and home growers as date-to-maturity while important, isnt as critical as variety. Does it germinate in cold soil? 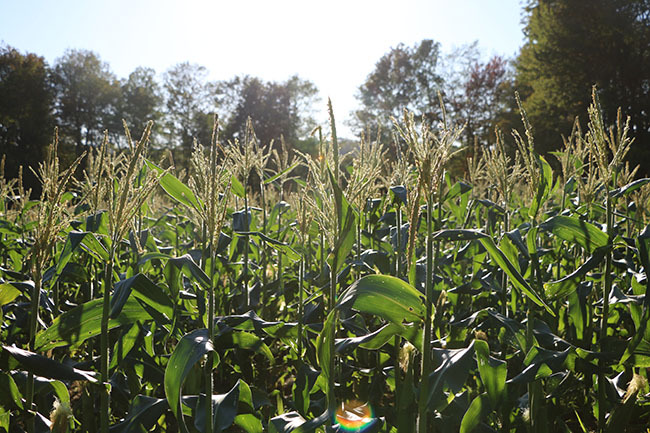 Will the pollen affect a neighboring plot of corn? Will the stalks grow too tall and shade something else? Will all the corn come in at the same time? Some varieties grow better in early spring, others better in high summer. Some are best for the fall. Flavor though is often the most important reason why a home grower would want to think long about the variety they are growing. Commercial farmers tend only to choose their crop varieties based on the market. Flavor doesn't factor in. Ten years ago you never knew the difference between a Brandywine tomato and a Big Girl. Today, you do. You also know the difference between the flavor of a 'Red Delicious' apple, vs a sour"GrannySmith' from the luscious sweetness of a 'Honeycrisp'. My point is that more and more of us today are informed - we know the difference. We are familiar with the names of some varieties, especially with fruit. We can tell the difference between hype and authenticity. We'll pay more for something that tastes better but with corn, we are still being told that it's just all one or two varieties. Odd when there are literally hundreds and hundreds of varieties. It's time to push farmers, farm stands, supermarkets and buyers to let us know what we are buying. Home raised popcorn is a fun crop. Just be sure that the ears are pollinated well (by hand with tassels from another plant). This crop was raised in a double row that was hand pollinated last summer. Dry it well though if you plan to pop it. Today it's almost impossible to find the true variety of sweet corn one is buying. And don''t just tell me that it is something called 'Butter and Sugar' or 'Silver Queen'. I don't buy that. Of course, new variety name probably need some tweaking or creativity, and few are any good or helpful. So renaming corn might be in order first. I can't imagine anyone stopping to buy a dozen ears because they saw a handpainted sign that says 'NATIVE. SS3778R F1 Corn, NEXT LEFT'. Yay! 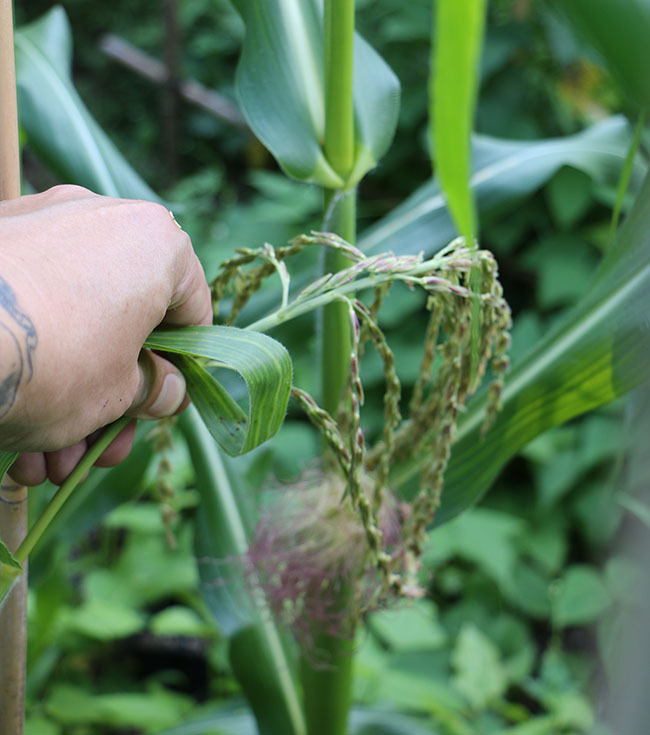 Pollinate your corn at home by snapping off a tassel that is dripping with pollen on a dry afternoon, and shake it over the silks which are emergin on the little ears. It;s fun to do, and doesnt hurt the plant. Imagine every silk as a thread that leads to a kernel. "Try this experiment. The next time you are buying corn, ask the seller what variety it is. (I do this all the time and only once (in Vermont) did I get an honest answer.). Most sellers will just say 'It's Butter and Sugar' or 'Silver Queen', even if they know the real name of the variety they are growing. People think those are varieties (they are, but I doubt that this is the variety they are buying), more often than not they are buying a 'type'of corn, and most growers just sell all bi-color corn as 'Butter and Sugar' and all white corn as 'Silver King or Queen'. At least on the east coast. Old varieties of dry corn are often superior to newer ones. Here is one case where heirloom really delivers. Green Oaxcan corn makes some of the best cornmeal. We can't blame them. Most growers are scared shitless to admit that they actually are growing a variety named something like Mirai® 227 F1 or a brand new patented or registered augmented sugar gene SH2 or even a new Synergistic corn variety (which may be the best for texture and flavor) because most of thee varieties sound more like insecticide than corn varieties. Names like 'Vision MXR', 'Kickoff', 'Illusion' ' Allure', or 'Trinity' isn't going to get a home chef excited. The folks who name corn really need some help, but then again, they are trying with names like 'Sugar Pearl', 'Sugar Buns' or 'Delectable' - those are names that should capture our attention, but they are so similar to 'Sugar and Butter' why confuse people? 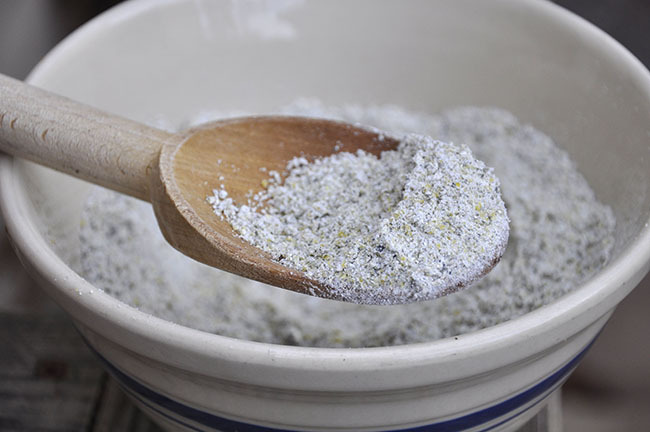 Homemade cornmeal is easy to make. I made this last year in my Vitamix blender. Corn genetics concern people, but probably more than they should: at least from the standpoint of the home gardener. 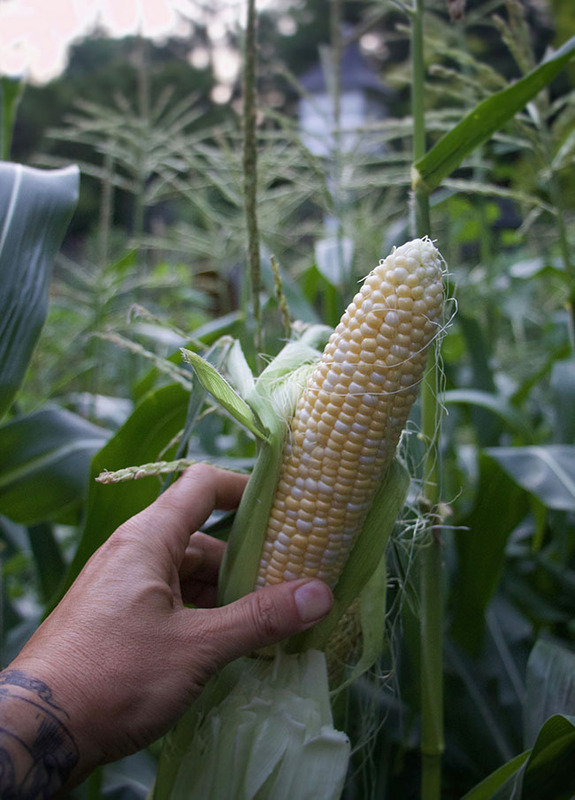 First, there are no GMO corn varieties that a home grower could grow or even access. Regardless, some seed catalogs will state in a burst on their cover “NO GMO’S!” which is akin to saying that fat-free is healthy for you. 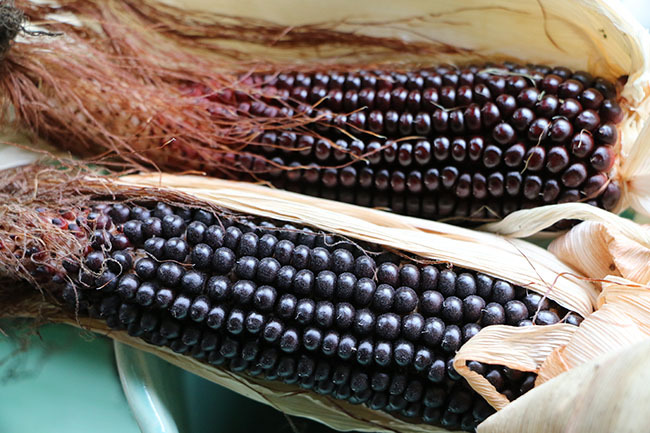 The truth is, corn breeding is science, and if you believe in science and all of the good that it can bring to our world, then you should be able to appreciate why new corn varieties are often better performers in the garden than most heirloom varieties. We should also consider that in one sense corn is already genetically modified—through selection over the millennia. If you have any concerns about GMO corn, then do try growing your own dry corn. Beleive me - nothing tastes like home-grown cornmeal. A 100 sq foot bed supplied us with 5 quarts of cornmeal. There are a few (very few -like 9%) new GMO sweet corn varieties but you are not going to find any in a seed catalog as one would need to go through an agent and then sign a complex licensing agreement with Monsanto or another developer. You should feel safe buying seed anywhere as no GMO seed is available for home growers at all- so relax. Even though a variety may sound 'sciency' or technical, it's not GMO if you are finding it in a seed catalog. This includes Johnny's Selected Seeds or Burpee. That said, some GMO sweet corn on-the-ear is showing up in supermarkets, but I imagine that most of this corn is raised in the south for northern markets during the winter. The corn in these cases was bred to have 'stacked genes', bundled if you will so that the variety could be resistant to a pre-emergent herbicide or immune to a fungus. While this typically doesn't bother me, I still wouldn't want my cornfield to be sprayed with glyphosate or Round-up. You see, it's not the genetic engineering that concerns me, it's what they might spray the crop with. That's where I stand with GMO's and until I see some data that proves safety one way or another, I would never buy GMO corn at a market. Yet here's the kicker - I would love to grow GMO corn in my own garden at home - but until they make GMO seed available to home gardeners, this will need to wait. I do appreciate the science of genetic engineering - So-called 'Franken foods' don't scare me at all. I 'get' the science. 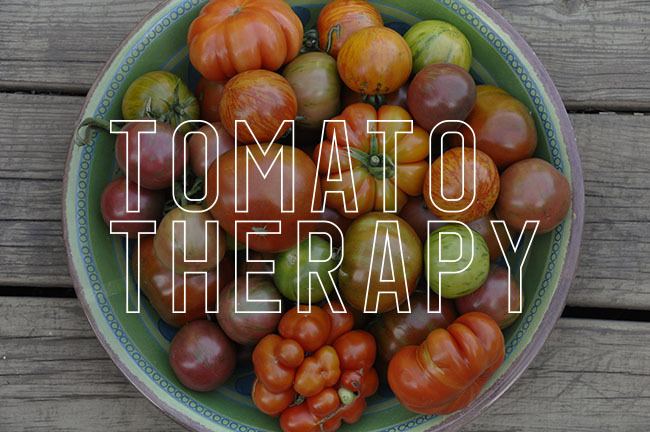 Breed me a blight-free tomato with the flavor of summer, please. I want that now. How's this: Instead of worrying about GMO's and labeling, why arent we all demanding to at least know the variety name that we are buying? Wouldnt that solve everything? There are many varieties of dry, heirloom or ornamental corn available today. Each are so rewarding to grow in the homer garden. IS THERE SUCH A THING AS WILD CORN? Corn is a very old crop. One of the oldest man has ever cultivated. We know where corn originated, and it looked nothing like the crop we recognize today. There is no longer any true wild corn ( as is the case with most vegetables that we eat today as all have been selected and cross-bred and selected again by our ancestors - genetically modified, if you will by selection), so while we know that corn is the subject of many Netflix documentaries intended to scare us, science and botanists agree that there is little data to suggest that corn is bad for us. We all know that corn is botanically considered a grass, and that the corn we know today looks nothing like it's wild ancestors. Like cabbage or cauliflower it was selected from a wild species of maize found in Mexico over centuries of natural and human selection. Like most every vegetable we eat today it too has been essentially genetically modified over time by us makeing selections of our favortie traits, and these are passed on. According to the National Science Foundation and molecular biologists, the wild ‘corn’ was a branched grass now known to botanists as Balsas teosinte. With its hard seed coat or shell, the idea that we could revert to growing wild corn is unrealistic. Yet corn stands as one of the greatest achievement of mankind, and regardless of your political or environmental position regarding the culture of corn, we as a species probably wouldn’t be here today if it wasn’t for corn. This is a variety isnt 'Butter and Sugar' but it is called 'Xtra-Tender 2171- F1 Hybrid grown from organic seed. It's an SH2 or 'Augmented Shrunken Gene variety. Not GMO, even though it sounds like it. It's worth growing for both flavor and texture in the home garden, not to mention disease resistance to 'Stewart's Wilt' and Leaf Blight. IS CORN WORTH GROWING AT HOME? Looking at corn through a different lens, however, from the view of the home owner who might like to raise to fresh or dried corn in the home vegetable garden, does change the perspective a bit. Setting all discussion of GMO’s and high-fructose corn syrup aside, growing corn as a vegetable crop at home is a safe and worthwhile venture. In fact, sweet or dry corn from the home garden can be one of the tastiest and fruitful crops one can grow. 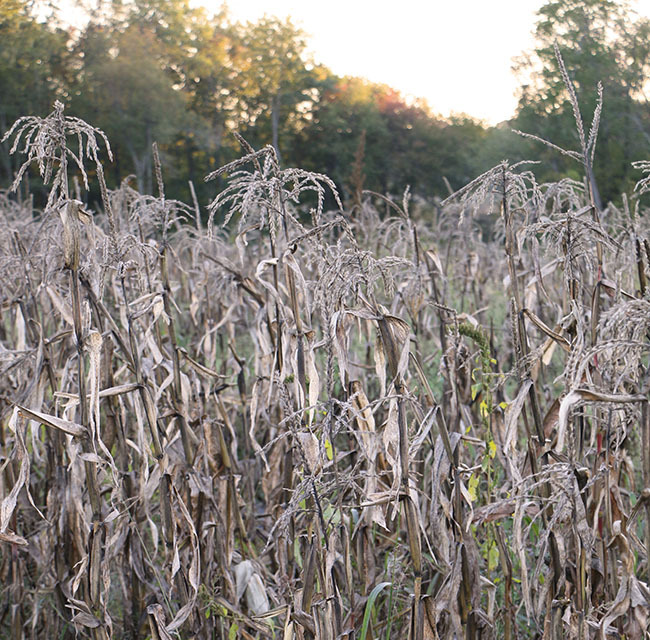 If you are interested is raising corn, however, there are some realities to face. First, corn requires space, and while the minimum square footage isn’t as great as you might imagine (a 10 x 10-foot bed can yield a few meals) to grow corn well and to make it worthwhile, a larger space is more practical. Growing dry corn for use in corn meal can be a worthwhile pursuit, but It is with sweet corn where the freshness and variety really set aside home-raised corn apart. 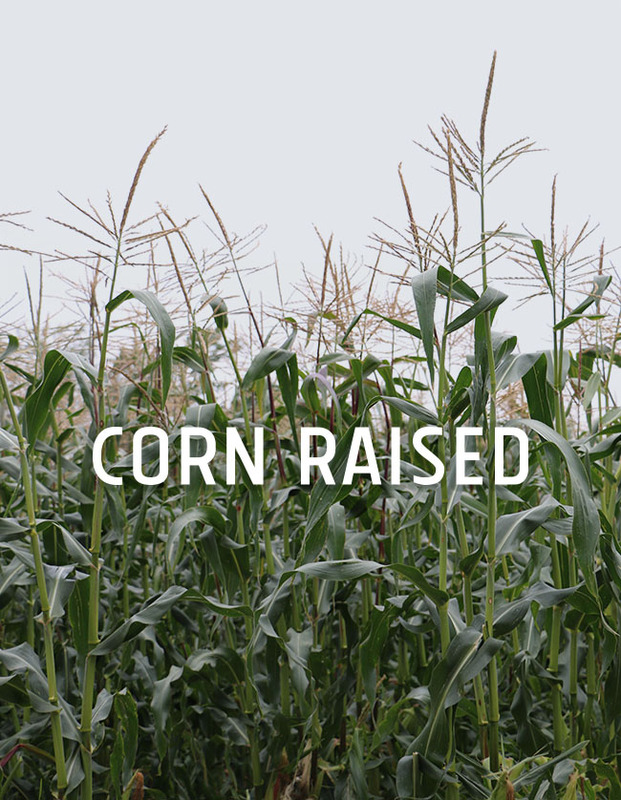 Before there were super-sweet varieties bred to hold their sugar content longer, sweet corn varieties simply had to be grown at home and brought into the kitchen immediately and cooked. 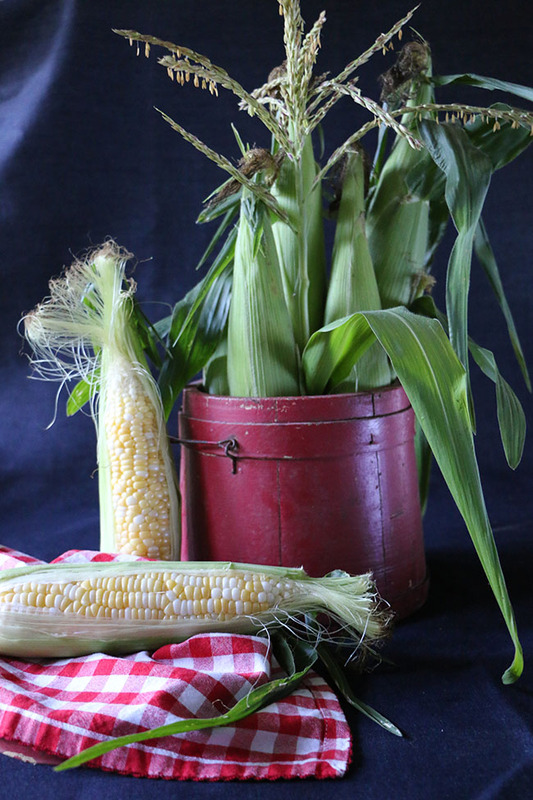 As most gardeners know, old gardening texts often wax on about “having a pot of water boiling before one runs out to the garden to pick the sweet corn’ to maximize its sweetness. Of course, you still do that, and even the super-sweet varieties will seem sweeter, but then, any vegetable will seem sweeter if picked and prepared immediately. Fresh summer sweet corn is more like a religion, however, especially in North America where some families may eat a few dozen for an evening meal. Corn success begins with the variety you chooses. 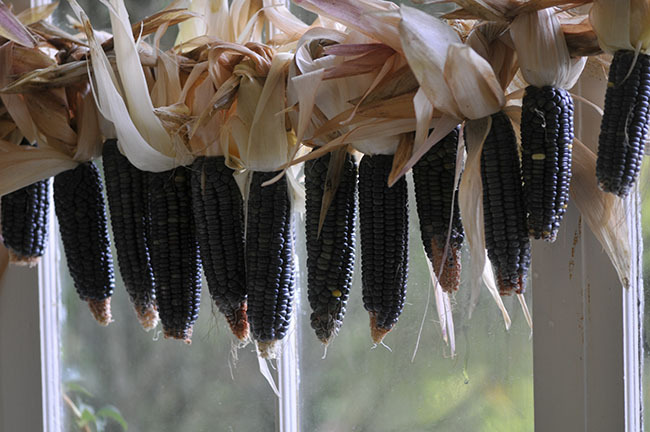 I am fond of both heirloom heritage corn varieties and new hybrids, but I tend to grow heritage varieties as dried corn as it is supremely delectable compared to any new dried corn. But when it comes to sweet corn, I believe that the newer the variety is, the better it is. Johnny's Selected Seeds carrys many good varieties of corn for the home grower, but again, the variety names may not attract you to them. CORN VARIETIES - Naming is everything. Like fashion, great corn names will never be on the tip of the consumer’s tongue again as there are just too many to choose from. And as such, the names become diluted in a sea of sameness. No one would get excited about growing a crop of ‘Amaize’ or ‘Everprime’. 'SUGAR AND BUTTER' is a great name, it has Madison Avenue written all over it. I mean who wouldnt want something that tasted that good and sweet? Plus, it was pretty. The days of name recognition the likes of Silver Queen should be gone but they arent. Good names for veggies stick ( and for Fruit, for that matter - don't get me started about the lies that exist with 'Honeycrisp' apples today. "Wait...what?" Briefly - Honeycrisp the variey is loseing it's patent protection so theorhetically any sweet apple could be sold under this name, but I digress) When it comes to corn, few if any of us truly knows the name of any corn variety that we are buying at a farmstand. Even though a few variety names today sound delicious - (‘Kandy Korn’ sounds not all that bad), all corn will probably be marketed simply as ‘Sugar & Butter or 'Butter and Sugar' Corn until a really good descriptive name comes along. That said, this will probably not happen as new corn varieties are being developed every year and honestly, they all rather look the same to the consumer. So unlike apples or tomatoes where certain variety names can turn virtually overnight into brand names when it comes to sweet corn, we may be stuck with descriptive types with names from the mid-20th century like 'Silver Queen' "Silver King' or 'Butter and Sugar'. 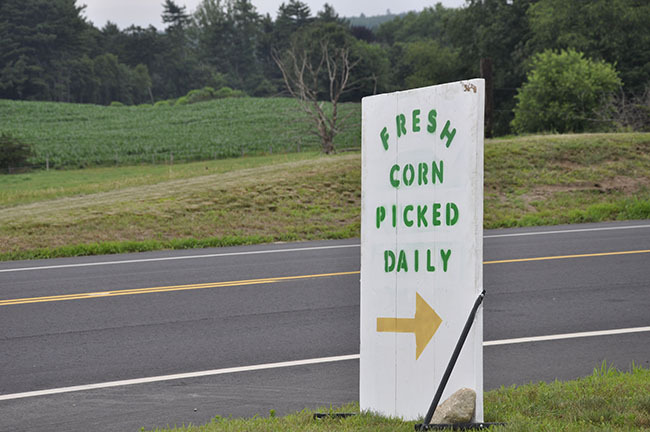 My dream of having a farm stand that sells 6 or 8 varieties of corn with the actual name will never become a reality, which is probably a good thing as the business model has flaws, beginning with advertising. No one is ever going to stop the car if they see a sign that says “NATIVE ‘FLAGSHIP II’ CORN, NEXT LEFT,” and they certainly are never going to buy a dozen and a half of the most flavorful corn “HMX5346e”. The fact is we live in a world which is divided both politically and unfortunately intellectually. If a farm stand offered one table with heirloom 'Silver Queen' ears of corn, and another table stacked high with a Synergistic corn variety like 'Illusion F1 hybrid' or an Augmented Shrunken SH2 variety like or 'Xtra TENDER NUMBER 227'or even 'Mirai'® which is trademarked, you might assume that these are scaryGMO varieties. (In case you are wondering - all of these new varieties which are far superior to old varieties are each available as organic seed and are not GMO). But their names do present a huge marketing challenge for anyone marketing sweet corn to a public that has their antennae up high. This leaves us, the home grower, to just make the corn choices ourselves as no farm stand, supermarket or even canned or frozen food will list a corn variety on their signage or label unless it was one they are familar with. With so many varieties to choose from, it’s best to try a couple of different varieties and types each year. Even in the small garden, if grown tightly and pollinated properly, a crop of popcorn or heirloom dried corn can be grown with little effort. With the diversity available given the selections in most any seed catalog, why not grow corn? Why limit your corn intake to what the local monoculture farm decides is best to grow? Now- there are some antique corn varieties from the nineteenth century or even much older that are very superior to new ones, but these are dried corn varieties such as the types known as Dents (the kernels dry with a little dent in them). If you prefer what many describe as ‘a real corny flavor’ in fresh corn, then the old Bantam varieties are for you, at least as a fresh sweet corn. They offer a rich, corn flavor with sugar content that is significantly lower which some foodies prefer when corn is used in a recipe. As fresh eating though (off-the-cob), newer varieties are the best hands down. And iot's not all about sugar or sweetness. 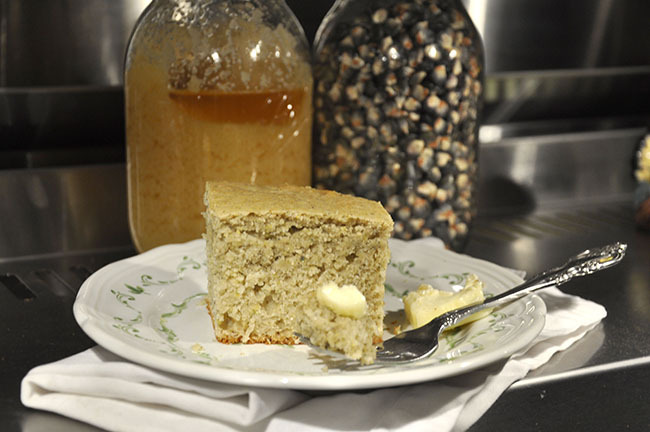 Many corn geeks prefer corn that sacrafices super-sweetness for texture - i.e. kernels that pop in the mouth when you bite on the cob. Fair warning, corn classification is very confusing. Dont' beleive me? Go to a Harris Seeds or Johnny's site and see for yourself. These are good sites where you can test your corn savvyness. With sweet corn, the relevant distinctions are about the sugar content and how long the corn holds up on the ear after picking. Then of course, is texture and color. As I said earlier few realize that most sweet corn varieties had all-white kernels until 1902, when ‘Golden Bantam’ was introduced. It's funny today to hear some people assume that a vegetable is either genetically engineers or a frankenveggie just because it seems odd or different. It's not unusual at all to hear one insist that all-white or red corn, purple or golden cauliflower or even maroon and white carrots are the result of living in a genetically modified world. Actually, it's more like the other way around. Before the 1840's all carrots were purple, red or white with orange being selected by the Dutch in the mid-1800s's. Yellow corn was considered fit only for animals and white corn was preferred for human consumption. Choosing the best sweet corn for your tastes today isn't easy though. Corn classification is so damn confusing! Variety names are either organized by genotype or by 'type' and without a chart to follow, few if any of us know the difference between an SE, SH2 or SU let alone an Augmented Shrunken SH2. I mean - who would buy that? Examples include SU (sugar) and SE (Sugar Enhanced) and SH2 (Augmented Shrunken). Augmented Shrunken, by the way, is just a bad name for a gene that simply shrivels away—clearly, scientists weren’t focused on marketing at that time. The only downside to the SH2 and some SE varieties is that the pollen drift can and will affect the quality of the other - in the same season (unlike squash). All varieties must be separated or the kernels will vary in quality. 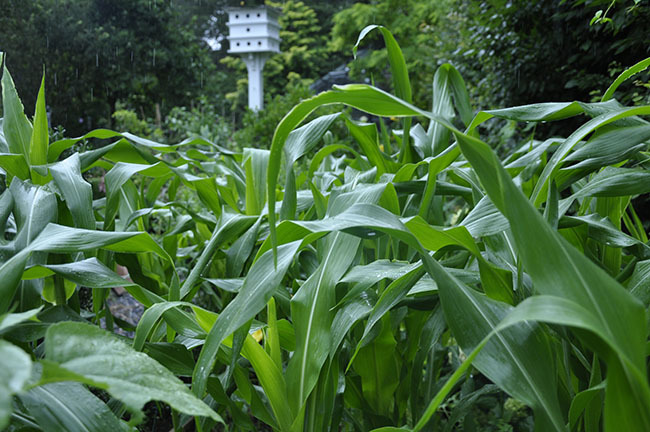 In the home, garden be sure to space corn crops at leave 60 feet away from each other—remember, corn is wind pollinated. 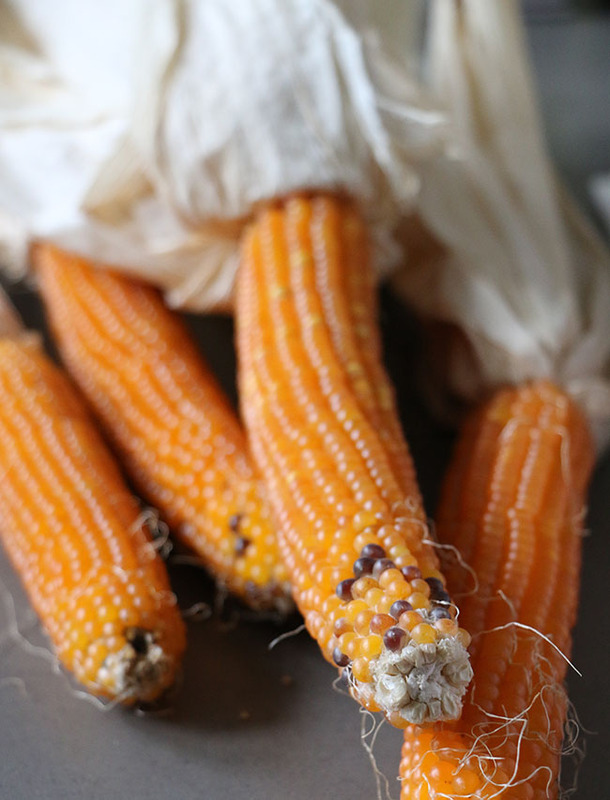 Normal corn means heirloom, or just old-fashioned. ‘Silver Queen’ is a good example. It has one sugar gene (su-1), which will convert to starch quickly after picking. It has a very short shelf life. Sugar Enhanced (SE) corn was bred from corn varieties with various sugar genes that work along with the su-1 gene above. While these varieties are sweeter (often 25 percent to 100 percent sweeter than normal corn) they also have sugars that will convert to starch over time. Refrigeration near 34 °F will slow down this conversion, but unless the corn was picked on the same day that you picked it, it will begin to decline in sweetness. Supersweet corn is indeed super-sweet, and has a slower conversion to starch than Sugar Enhanced corn. It’s often crunchier too, which many people prefer. The high-sugar content can last as long as 2 weeks if refrigerated. The downside is that Supersweet varieties are not cold-soil tolerant at all. You must wait until the soil has warmed to above 60°F in summer to plant, as they can be difficult to establish in cool spring weather. As such, supersweet corn is planted in cold climates as a second crop to follow a fast-maturing, early season crop. As if Sugar Enhanced and Supersweet weren’t confusing enough, enter Synergistic corn. These varieties are probably what you will find for sale at will find at a roadside farm stand. They are hybrids bred to have a blend of sugar genes. Something like two copies of se genes and one copy of sh2 genes, for example. Just know that Synergistic corn varieties often have tender kernels and high sugar content, but this too alternates from variety to variety. Some feel that the texture of some Synergistic corn varieties are not as crunchy as some Supersweet types, depending again on the variety. Good seed companies that carry many corn varieties will list what classification a corn variety falls under. Mirai is a class of super-sweet corn that has been is showing up in many catalogs. You’ll see varieties listed as a Mirai-type, or something like ‘Mirai 315bc’ or ‘Mirai bicolor’. Mirai corn is not genetically modified. It was created by selection. Most gardeners and growers agree that it seems to have the best of all worlds. The flavor of old-fashioned corn (as it shares some genetics with them) and a blend of the various sugar genes listed above all created by careful cross breeding and selection in the field. As a home gardener, I would choose Mirai and SH2 varieties over all others. NOTE: Mirai corn and some Synergistic corn must be isolated when planted as pollen from SE sugar enhanced and other enhanced sweet corn varieties will affect its sweetness. Plant crops at least 60 feet or more away. Often you will see Augmented Shrunken Corn represented in varieties like ‘Xtra-Tender 227A’ and in some AAS winners, like ‘American Dream’. The term only refers to how the genetics function and are not anything unsavory. The reason these types are good for home growers is that their flavor and texture is exceptional, but their kernels are too tender for machinery to pick them for shipping, so they are best for home growers. All are highly resistant to blight as well. 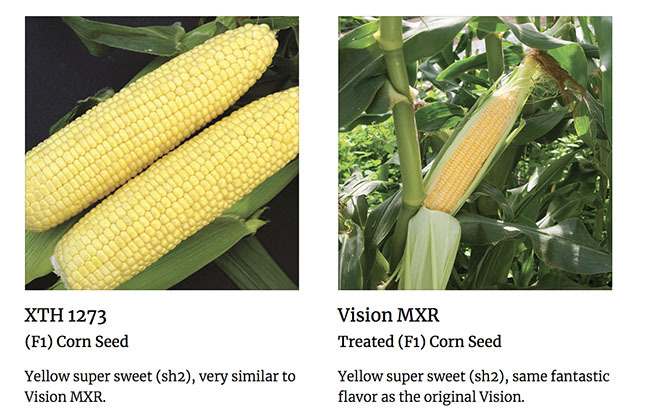 Since many new corn varieties must be isolated to take advantage of their special qualities, there are two groups to know which should be isolated from each other. SU and SE GOUP, which includes Normal sugary corn (SU), Sugar enhanced (SE) and Syntergistic/Mirai. These must be isolated from SH2 Group, which includes Shrunken (SH2) and Augmented Shrunken varieties. Check the seed catalog descriptions and always space these varieties at least 60 feet from each other. The methods for raising sweet corn are basically the same for dried corn, aside from the obvious fact that the corn must be allowed to dry on the stalk. Most field corn varieties are taller than modern sweetcorn, so be prepared for corn stalks that could reach over 12 feet tall. Popcorn and many ornamental corn varieties such as Indian corn can be short, often with surprisingly small ears. Pick drying corn once the corn stalks begin to dry and turn light brown. 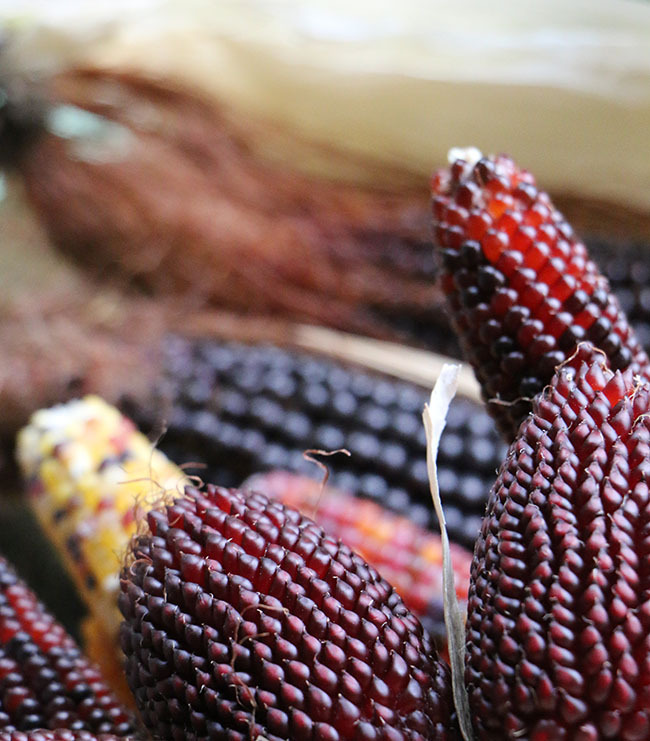 The ears of most varieties can be pulled off in their entirety, and the husks pulled back to reveal the gorgeous kernels underneath. Hang corn ears to dry further, especially if you are planning to crush it for corn flour or use it for popping corn. Corn crops can be beautiful in the garden, so think about the site, being brave and even sowing corn in the front yard or planting a tidy block of rows near the driveway—I’ve seen incredibly attractive blocks of corn planted in front of posh contemporary homes that look better than hip landscaping. The site should have rich soil, as corn is a heavy feeder. Aged manure should be turned in or, if you keep chickens, cast the shavings or straw over the bed through the winter and turn that in. If manure cannot be found either in a bag at the nursery or hardware store, commercial fertilizer will do. A 20-20-20 or other high-nitrogen feed is essential. Not just at planting, but also side-dressed through the summer. Corn can usually be sown in cool soil, but use seed treated with a fungicide if soils are lower than 60°F. Since corn maturity varies by variety, look at the days to maturity and base your plant timing off that. There are many varieties that can be planted in early to mid-summer and still have time to mature even in cold growing climates. Height is a number worth noting as well when ordering corn seed, as some sugar-enhanced (SE) or Supersweet varieties can be very short (3 feet) while some heirlooms can tower over 12 feet. Think about the shade the stalks will cast on other vegetable crops as well. Corn must be grown on a grid system, as it is wind pollinated. A 1-foot matrix works well in small gardens, with two seeds sown every 1 foot evenly across a bed. The deeper the bed, the better. If raising in rows, make sure that there are at least four rows or more to ensure that pollen can fall until the silks which will appear on the young ears of corn. More than any soil problem or water, it is poor pollination that causes the most angst among home growers. If you are forced to raise a single row of corn (it can be done), pay attention to the pollen that forms on the tassels at the top of the stalk. You’ll know when it is ready as it will begin to fall off onto the foliage if the stalk is tapped. You will need to pollinate by hand in some cases. Cut off a tassel or two, and use them as a brush or wand, shaking them around and over each ear of corn which will be showing a tassel of green threads. Picture in your head that every strand of silk must find a pollen grain for every kernel of corn to form. ‘Illusion’ F1 hyrbid (72 days)—An early synergistic corn with tolerance to cool soils and stromg disease resistance. ‘Mirai®301bc hybrid—The premiere corn in the new class Mirai of sweet corn. Corn that is an SH2-type of corn must not be closer than 60 feet to other varieties especially thsoe that are SU sugary or SE Sugar Enhanced corn as the pollen will affect sweetness. ‘American Dream’ hybrid SH2 2018 AAS winner—fine, sweet bicolor for home gardeners. ‘Honey ‘N Pearl’—hybrid SH2 1988 AAS winner—the original SH2 bicolor that took the corn world by storm. ‘Xtra-Tender 2171’ F1 hybrid (71 days)—A bicolored super sweet varity which is also available as organic seed. This black pop corn was just beutiful enough to use as table decor last Thanksgiving. I only grew a few long rows but never bothered to dry it properly to pop it well. ‘Robust 997’ F1 hybrid (112 days)—A large-eared golden popcorn with 8-inch ears. ‘Glass Gem’ open-pollinated (120 days)—Rainbow-colored translucent kernals that look like jewels. ‘Jerry Petersen ‘Blue’ open-pollionated (105 days)—Most black popcorn varieties are small-eared but this one has 8-inch ears. Ornamental as well. ‘Nothstine Dent’ open-pollinated (100 days)—The dent corns are all considered to be the best for cornmeal. ‘Oaxacan Green’ open-pollinated (95 days)—A beautiful green kernel ancient heirloom that makes an incredible cornmeal, Tall stalks to 8 feet. Planning Your Fall Veg Garden? Here's A Niki Jabbour Book Giveaway! 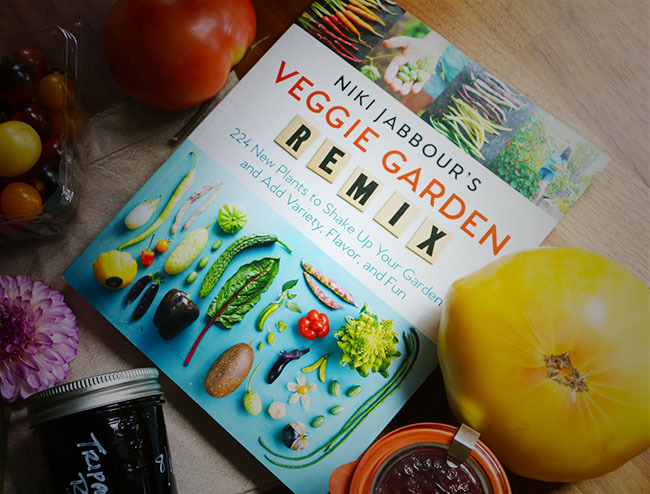 Niki Jabbour's newest book Veggie Garden Remix will inspire you to try new varieties and versions of both familiar veggies and even some new ones you may have never heard about. If you don't know about Niki Jabbour then I don't know where you've been. 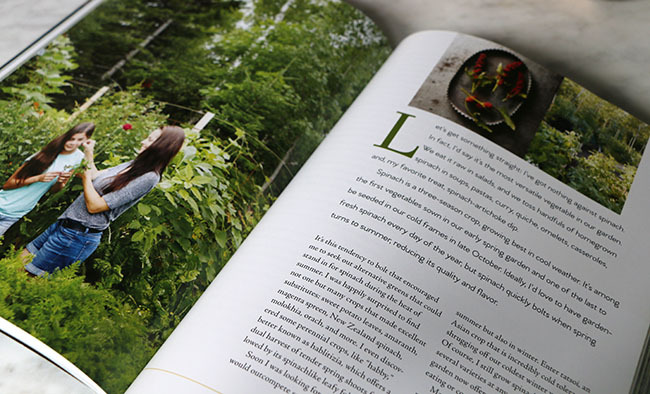 I first heard of her as 'that girl who was kneeling in the snow in front of her cold frame' as pictured on one of her first books 'The Year-Round Vegetable Garden', but if you don't. live where the snow is as deep as it is in Niki's hometown of Halifax, Nova Scotia, no worries. This isn't one of those regional books. Her work speaks to all gardeners no matter where you garden. She makes gardening feel easy and fun, approachable and achievable. Best of all, she does it all with a smile and an endlessly positive attitude. And then, of course, there is that endless energy thing that many of us wish that we had! I kind of wish I had that tone (or as my editor said to me: "You sound kind of negative here" or "I don't think you should discourage someone by making it look so difficult." You name it. Martha Stewart, Rachael Rae or Julia Child. All can have a different and useful voice on the same topic. Niki is unique though. Part gardening evangelist, and part teacher (yet without the ruler). She is also part therapist, part coach and a big part evangelist. Her hair is 100% Disney Princess ( I can say that cuz I worked on the doll line!). It's her everyday approach though that wins her many followers over. She is able to realize that we are all students yet we never get bored. She's cheerleadery enough but not cloyingly so .Just when you think that she is all "yay- mouse melons! They're SO cute!!! ", she backs it up with "...and I grew these super long snake gourds from seeds (In Nova Scotia mind you!) and will be preparing them in a Syrian dish for my family this evening after I harvest 6 rows of beans that I'll be drying.". Yyyeah. Like that. She's authentic and has 'walked-the-walk'. Combined, I think this is why she has thousands of followers who are passionate and crazy about everything she says. She's just enough to excite the newbie but toothsome enough for the advanced gardener to discover something they might have not known. Kind of the perfect balance for todays gardening lifestyle. Win Niki Jabbour's newest book VEGGIE GARDEN REMIX by leaving a comment on this post, below. If you are the average veggie gardener (raised beds in a back yard) then you must get Niki's books. If you are thinking about growing veggies through the winter, in small hoops or in raised beds, you must get her books. An award-winning author of many books on veg gardening (A GWA trowel winner) , she is also a blogger ,Youtuber, and a columnist (Birds and Blooms, Horticulture magazine).her Instagram feed is lively and informative, and she is always reminding us (me) that we are slacking in the garden (well, at least, me. Did I say that yet?). Yes. Niki makes me feel like a slacker. It seems that every hour Niki Jabbour is reminding me that I'm not doing enough in the garden or with my produce (but in a nice way!). She's Martha circa 1994 without a staff. Growing cayenne peppers, stringing them into ristra? Then drying them and grinding them into her own ground pepper? I have soooooooo much to catch up on! Niki's been writing about gardening for years now. And she doesnt seem to stop for anything. Her garden full of raised beds in Nova Scotia inspires her readers which apparently reach much further than Atlantic Canada! Niki career is rocketing high in the gardening world (most recently assigned as columnist for but her latest - Niki Jabnout's Veggie Garden Remix makes me a bit jealous (it's OK for me to say that, because she's a friend and a very good gardener), but 'jealous' because you might know that I just authored my own veg gardening book, but Niki wrote her book a year earlier and beat me to bar on lots of unusual and new veggies to grow. Follow Niki on Instagram(@nikijabbour) and Fanboy along with me. Why am I pitching her book then if it competes with mine? Well, I think that it doesn't compete, rather they will complement each other so nicely. I feel completely comfortable in sharing that both of our books probably belong on your bedside table (and not on the proverbial 'shelf' as both will help inspire you in different ways. One introduces you, another explains the history and might show step-by-step photos. We, gardeners, tend to have more than one gardening book on the subject we like best anyway. In fact, some of us have a whole bookcase full! Niki goes into depth on some topics that I don't. and I do the same on other topics. Classic Niki. "Like Peas? Then Try these unusual varieties.". DId you know that there are snow peas, and then there are purple snow peas and yellow snow peas....(um...'yellow snow' peas?). Well, there are. But back to Nikki's great book - this is a book you will use, believe me. That cucamelon trend on social media? 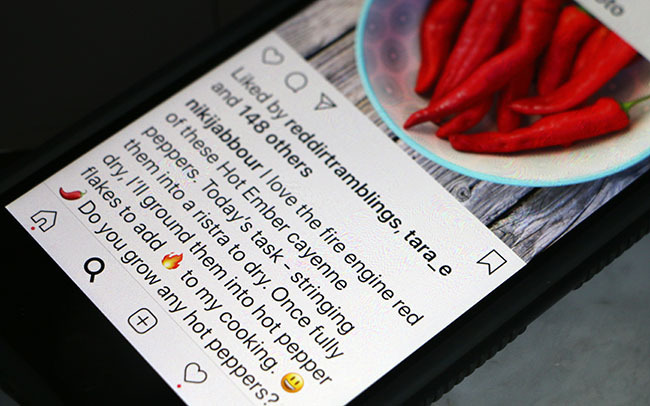 I kind of think that it wasn't started by a chef or by Dutch food producers who brought the tiny melon-relative back to the Netherlands to try growing commercially in greenhouses, but it probably would never have taken off if it wasn't for social media, and for people who are so active on it like Niki is. Sure 'cucamelon's (or 'mousemelon's' as many call them on social media) look like tiny doll-house sized watermelons, but have I tried growing them yet? Not really. Sometimes I've just too serious with myself. Well, yes, I tried growing them twice, but my crop failed the first time three years ago, and then, whenever I tried, I just didn't take care of them thinking that they were just a novelty. Now, I think I am missing out! Was just trying them simply because they seemed new or odd? Maybe they are worth working into my routine....what do you think? Novelty or hype? So much yet to learn! Niki's been posting about here cucamelons for about a month now on Instagram - but it's too late for me to try them until next year now. ugh! 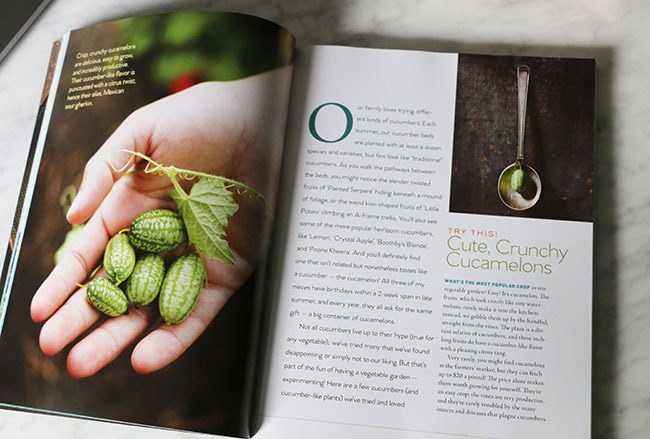 The trendy 'cucamelon' is taking gardening blogs (just not this one yet) by storm. Niki has me thinking that maybe I really am missing out on something. 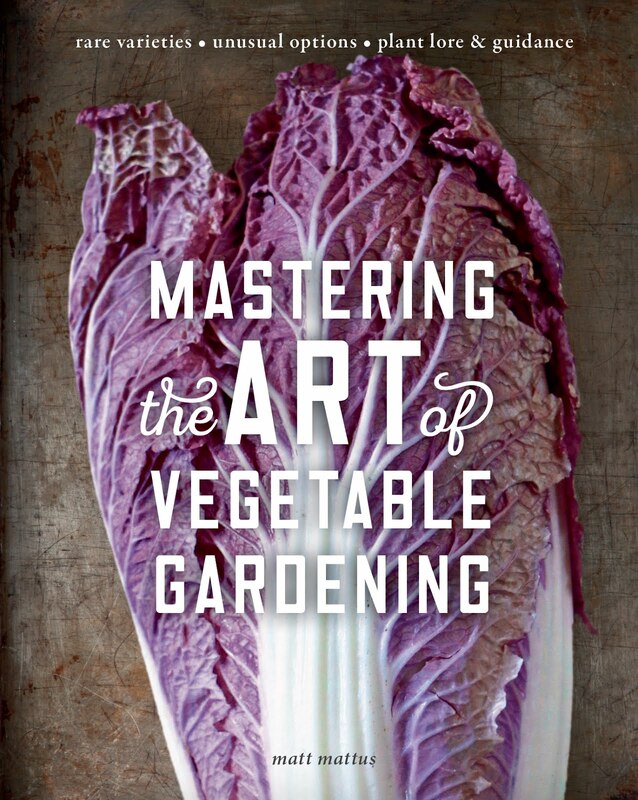 This book is a great inspirational book for all levels of vegetable gardeners. There is always something new to try growing. I never continued trying to grow them, assuming that they just a novelty that maybe isn't worth the effort (much like cape gooseberries, but that's another story, and again, maybe it's just me - but bleh. I can't seem to find a practical use for them in the kitchen.). Cucamelons though need people like Niki to promote them. Maybe they are delicious and worth growing? Anyway, she is continuing to inspire or at least remind me to at least try again. 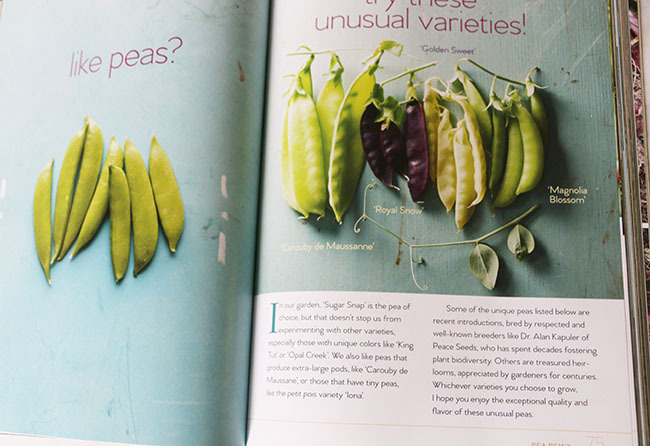 Niki also introduces us to plenty of very useful 'new' or forgotten crops in her book. Some you will see in my book as well, like Celtuce, or celery lettuce. I've grown it on and off over the years but thought that for some reason - no one else knew about it. That is until I saw it featured in Niki's book. Celtuce is worth growing, believe me, and I encourage everyone to give it a try. It's terribly popular in China, in fact, I almost forgot about it a few years ago until I saw something called 'stem lettuce' offered in a local Szechuan restaurant near our house. Crispy like a water chestnut, and looking lie slices of Jade, it's easy to grow and easy to cook. Celtuce, or stem lettuce in a market in Yunnan China this past June. We saw red varieties growing everywhere as it seemed to be the primary crop in most of the fields. This is a thick-stemmed red-leaved variety not available commercially in North America but if enough of us ask for it, maybe it will? Not familiar with it? Get Niki's book to learn more about it. Niki introduces new gardeners Stem Lettuce in her book, and I was so happy to see it listed that I sent her some seeds that I brought back from Yunnan this June where a red-leaved variety is very popular around the city of Shangri-La. Entire fields of the dark-leaved crop had Derry Watkins (from Special Plants Nursery in the UK) and I so curious that we drove our traveling companions crazy as we yelled to stop the jeeps to see what it was. Later, Derry and I found an agricultural shop that sold seed (all in Chinese) but we were able to find both the red-leaved variety of stem lettuce as well as the thick-stemmed variety so popular in much of the rest of China. Asparagus Lettuce' due to the color of the stems, but it never caught on. Burpee tried to introduce it under the branded name of celtuce (celery and lettuce) in the 1930's, but again, it just didn't become popular - until now. 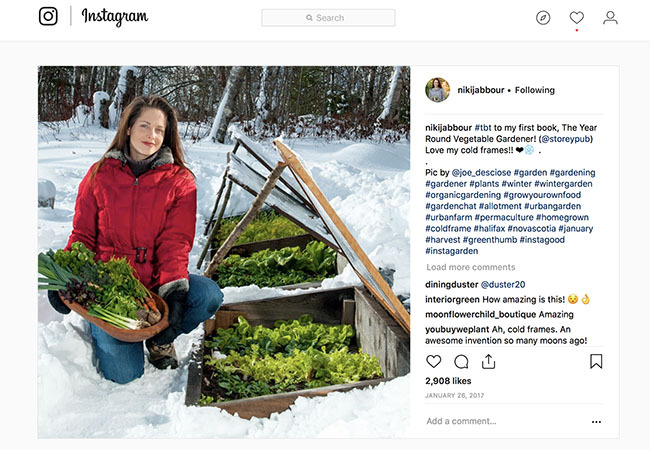 Thank you, Niki and new Chinese immigrants for reminding us that there are veggies still yet to be rediscovered (and there are plenty of others in Niki's book! Asian gourds, bitter melons, unusually cauliflower, purple-podded peas - if you're bored with your garden, get this book. To enter my giveaway - just leave a comment before 9:00 PM EST this Sunday night, and I will use randomizer software to select a winner which I will announce by Monday morning.